Welcome to the Cambridge Micropigmentation Centre Academy! Our students are trained by industry leading PMU & Microblading Artist – Ania Paterak. Our training programs are known for in depth cover of all health and safety guidelines. Our first and foremost priority is to make sure our students are following the H&S protocols before they start to work on real models. 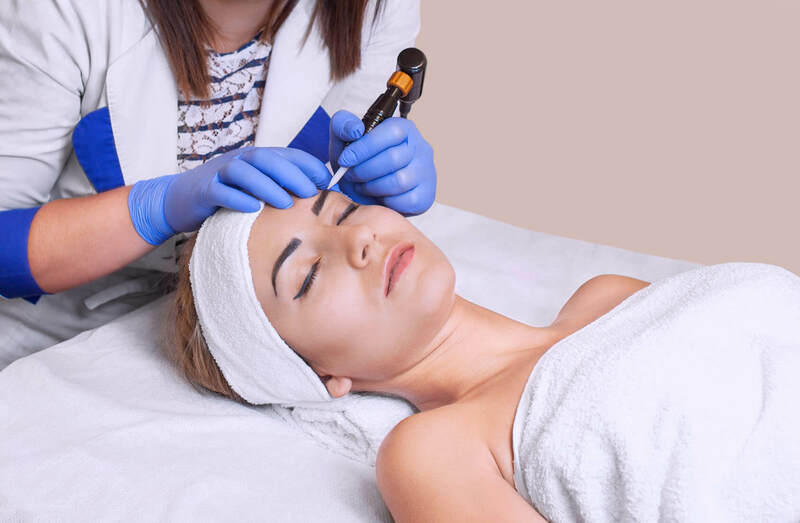 We also strongly believe in treatments that produce amazing results and we will make sure you finish our course knowing you can produce fantastic treatments! This belief resonates throughout all elements of our training programs and post-course support. Our students are fully insurable upon completion of our course. The courses are fully accredited. Upon finishing our microblading course you can start earning money straight away. Typical earning starts from £2000! We offer Beginners & Advanced Microblading training, Full Beginners & Advanced Permanent Makeup Training and Advanced Masterclasses for experienced artists. Theory, learn about skin structure, microblading technique, pressure, colour theory, contraindications, health & safety protocols, client consultations pre drawing and step by step procedure. Practice your hand movements on paper and on fake skin, treatment demonstration by the trainer on day 2. Practice pre drawing and perform treatment on live models under full support and supervision by the trainer. Whats included in your training? - Half price on all Pmu & Microblading treatments performed by the Master Trainer Ania Paterak! Practice your hand movements on paper and on fake skin, treatment presentation by the trainer on day 2. Live models. You will do 2 live models during day 3 under full support and supervision by the trainer. - FREE Microblading treatment worth of £325 included performed by the Master Trainer Ania Paterak & half price on all PMU&LASER treatments. Our CMC Microblading training course is one of the very few courses that offer wide 3 day training while most training providers offer only 2 day course. We strongly believe that 2 day course is not enough and we have specifically designed our Microblading course to make sure you will be absolutely ready to perform Microblading treatment on your clients! You will receive full list of available suppliers from the UK. Eyebrow demonstration & live models . You will do 2 live models during day 3 under full support and supervision by the trainer. Eyeliner demonstration & live models. A Few words about the Master Trainer - Ania Paterak. Ania is highly educated with BA degree in Makeup Design. 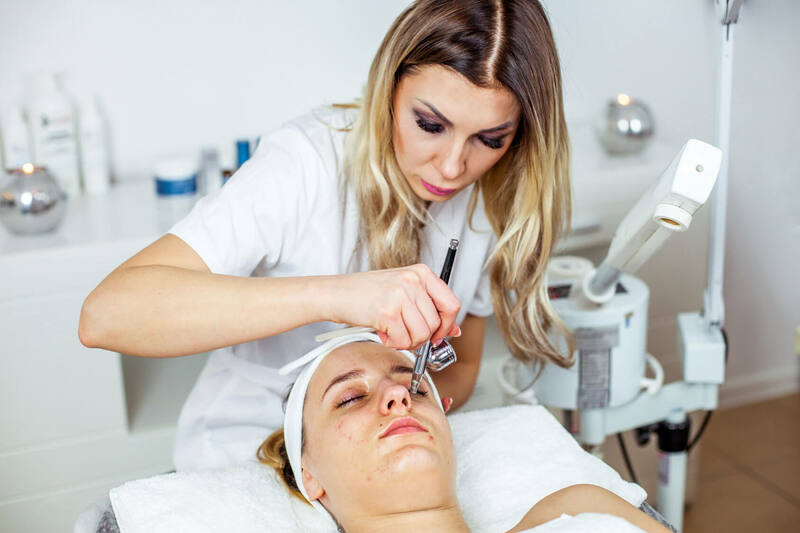 She has also finished many additional training including PTTLS (teachers training), NVQ Laser treatments, Beauty Therapy Level 4 And many industry advanced masterclasses. We offer advanced 1 day training to experience artist. Advanced workshops start from £500. Learn advanced techniques of the perfect ombrè brow, the latest trend in permanent makeup. Learn different hair patterns , suitable for differnet types of eyebrows. Every eyebrow is different, there is no straight answer to achieving the perfect brow. Learn how to work on men to achieve the most natural male brow. Learn how to achieve the perfect flick without traumatising the skin. The CMC Academy is established training provider which you can trust 100%. Our first and foremost priority are our students. We pride ourelves in fantastic students achievemnets and are always happy to hear successful students stories! If you would like to start the extremely rewarding career as a Microblading or PMU ARTIST do not hesitate to contact us! We are looking forward to train you in the future!